For more than 30 years I’ve worked as an academic clinician in cancer research (a specialist doctor with research and teaching responsibilities). During this time, much of the cancer research I’ve been involved in has been supported by charitable donations. A lot of this money was raised by amazing volunteer fundraisers who have baked cakes, run marathons, and even undergone full body waxes and skydives! I’d been saying for a while to friends and family that I wanted to run the Cardiff Half Marathon and so, inspired by the fundraisers who have supported me and my colleagues, I took a deep breath and signed up. 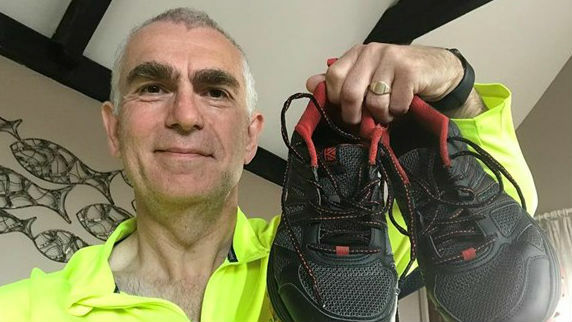 So, I’m now running my first half-marathon to support the next generation of cancer researchers, through Cardiff University’s Future Leaders in Cancer Research scheme. What is Future Leaders in Cancer Research? Two years ago my colleagues and I launched the Cardiff University Future Leaders in Cancer Research (FLiCR). This initiative offers carefully targeted career development for Cardiff University’s most promising cancer doctors and cancer research scientists at the beginning of their academic careers. The programme supports cancer researchers from a broad range of disciplines from laboratory scientists and clinical trial specialists to psychologists who help patients to deal with the mental burden of cancer and those developing new cures and treatments. Thanks to the support of #TeamCardiff runners in 2016 and 2017 we’ve already invested £50,000 to support two cohorts of Future Leaders. 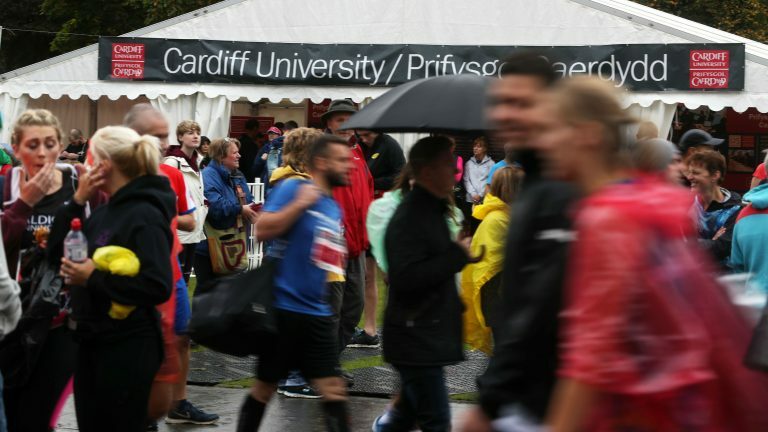 As before, all the money raised for cancer research at this year’s Cardiff Half Marathon, will support the next generation of researchers to accelerate the development of new, more effective treatments which will improve survival rate and quality of life for people with cancer, now and in the future. Cancer research has been a huge part of my life. Throughout my medical career it has been a great privilege to be able to help two groups of cancer patients – one group in the here-and-now, in clinic and on the wards, and a second in the future, through cancer research. In my own career I’ve hoped that research that is yet to bear fruit will have an impact on future patients. By investing in a new generation of cancer researchers we can support ideas that are yet to be fully explored and are equipping the field to make the most of new discoveries. We’re pushing the impact of that support further and further into the future, and hopefully helping more and more patients.